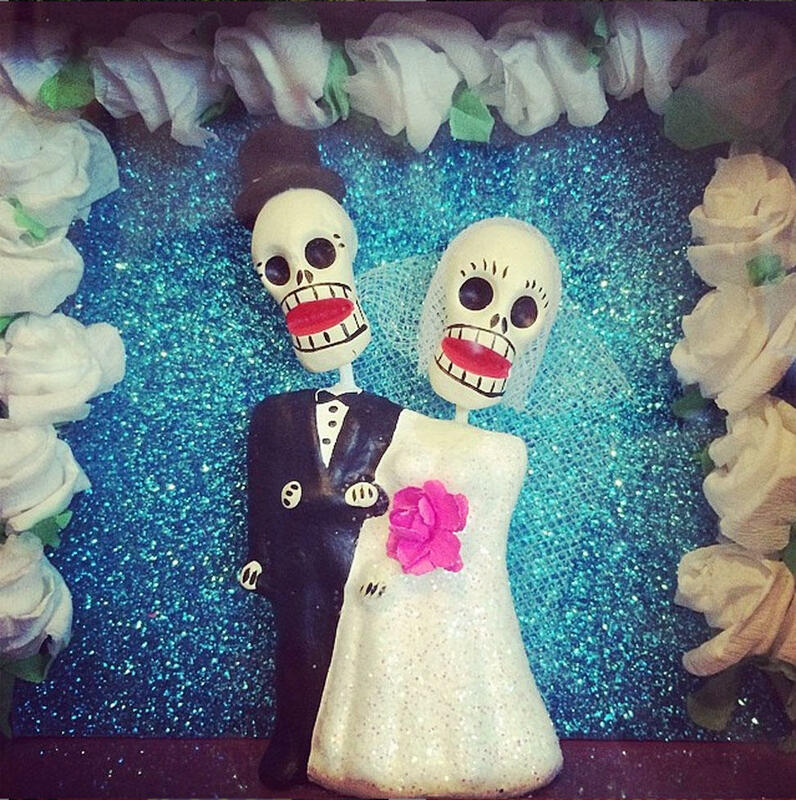 Beautiful example of Mexican Folkart! 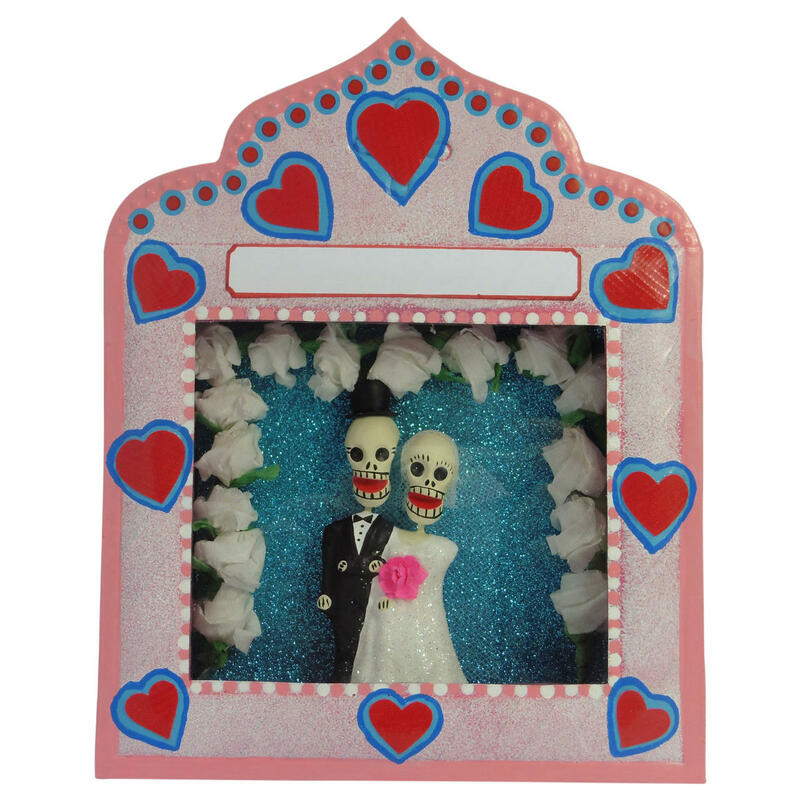 Sparkly Day of the Dead wedding scene inside a glass fronted tin nicho. The nicho has a catch opening to allow you to add some extra items if you wish and there is also a blank space where a message or some names could be painted.